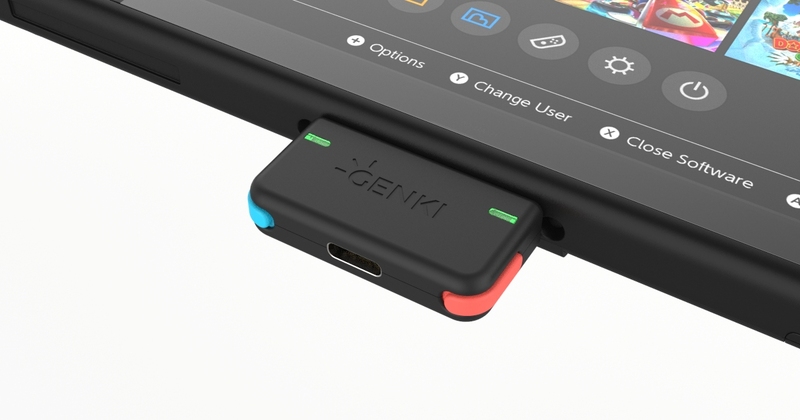 GENKI is a Bluetooth audio solution made specifically for the Nintendo Switch. This Kickstarter campaign that passed $757,267 USD so far. 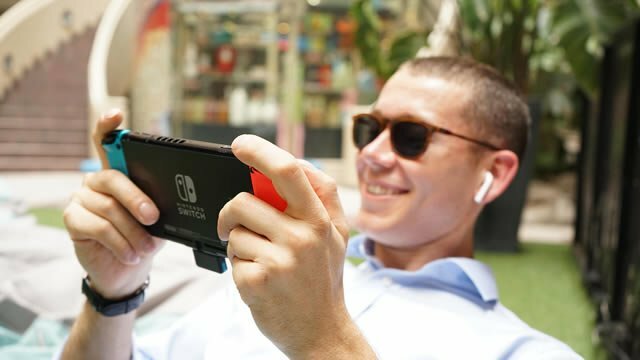 The company promised to bring something much needed to a beloved console, is now available in the market as one of the best accessories for the Switch. 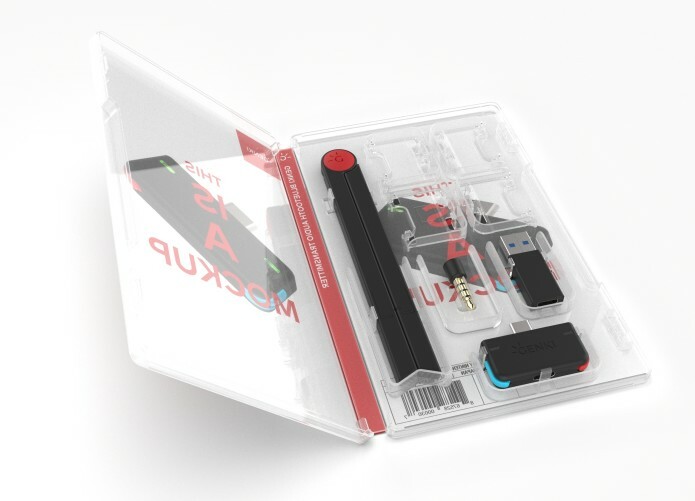 It is a tiny device called ‘Genki Early Bird’ that allows you to connect your favorite headphones to the Switch with a premium USB Type-C, Bluetooth 5, aptX Low Latency, multi-pairing audio adapter. Which simply means that now your wireless console can truly be wireless and with style. A small USB-C device connects to your console. 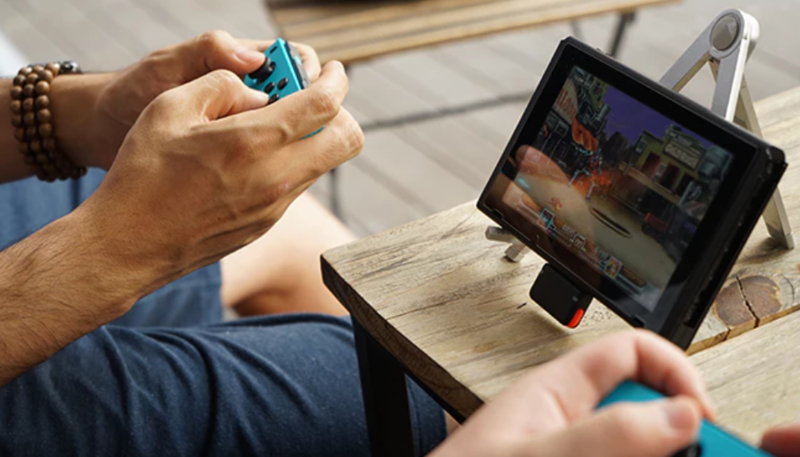 It is designed and color matched to the Joy-Cons themselves, and allows you to have crisp low latency audio feedback to the game you are playing on the go. You can connect two pairs of headphones at once for that co-op play with your buddy or simply listen to what they are playing. Having the Bluetooth 5.0 means that this device will connect every single Bluetooth headset out there but the newest aptX codecs allows the gamers to achieve Sub 40 milliseconds latency. The device does not require a charge as it draws power directly from the console plus the build sits flush with the console with no visible gaps whatsoever. The small device that directly attaches to the Switch is called ‘GENKI Early Bird’ but that’s not all the company is providing. You can also purchase, Genki Bluetooth Audio Adapter that attaches at the back of the console dock and allows you to have wireless audio in your living room. There is A Genki Portable Stand that is specifically designed so the Early Bird will have clearance while Switch is docked on it. And lastly there is the Genki Microphone that allows the gamers to have audio chat with other players while playing online. Genki Combo gets you all of the above and the box also has place for 4 games as well. Many other products are out in the market but none are as well thought out or well made as this one. Truly for a gamer who wants to have the best gaming experience on the go, Genki is the best choice out there.